Sound the bell to round up the children or grandchildren. 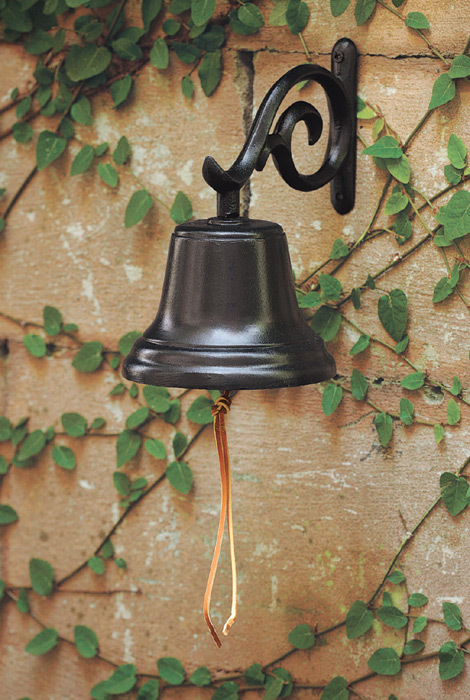 Made of rust-free recycled aluminum, the bell has a leather cord for the clapper. The scroll detail adds beauty. Made in the USA. Formerly $50, now 40% off. 5,25"W x 7.75"D x 8.25"H; 1.5 lbs.